One of the questions dog owners most frequently ask is “What is the best dog food?” That’s also one of the hardest questions to answer for several different reasons. Even if you have been feeding a very good dog food for several years, chances are that the food is different from when you first started feeding it to your dog. That’s because dog food manufacturers are always making changes to their recipes. They do this to improve the nutrition as more research is done and to improve their bottom line. Both of these things are important to most companies. In some cases you and your dog won’t notice a difference. For example, if a company changes from using whole chicken to chicken meal, it’s not usually a big change for your dog. But some changes can be more noticeable. There can be changes, up or down, in the protein percentage. The percentage of protein usually changes downward since protein is often the most expensive ingredient in dog food. Changes in the kind of carbs used in a food can make a difference to your dog, especially if he has any allergies or food sensitivities. Even respected and expensive foods such as Orijen have changed their ingredients recently. The new Whole Prey diets have omitted potatoes and added lentils and chickpeas instead. While the food still boasts 50 percent “fresh meat,” more of the protein in the food comes from meals like chicken meal and turkey meal and from plant-based proteins now. The guaranteed analysis of the food remains similar to what it was in the past, but the ingredient changes likely save Champion Pets, the makers of Orijen, some money. The addition of cellulose and cellulase in some dog foods can be problematic. Cellulose in pet foods usually comes from wood products and it’s used as a filler ingredient to add bulk without adding calories. It’s often used in weight control dog foods. Cellulase is added to help break down the cellulose. Unfortunately, many dogs have trouble digesting these ingredients and can experience gastrointestinal upset if they are in the dog food. And they can be in some expensive dog foods. 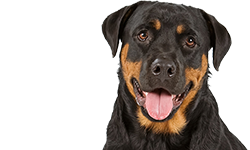 When Canidae added cellulase to their foods a few years ago, there was an outcry from customers suddenly coping with dogs having problems with the food. The same is true of some other ingredients that dog food companies experiment with. Research tells them that the ingredients will work in dog food and save money but, in practice, they don’t agree with many dogs. 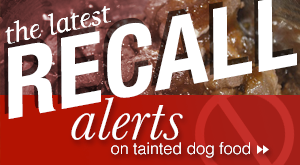 Dog food companies do not make these changes to foods to harm your dog or upset his stomach. If you are a good dog food company, you want to make nutritious food with good ingredients while keeping your costs down. As a dog owner, you should keep an eye on your dog’s condition to note any changes, even if you are feeding the same food all the time. Check the label for any changes to the ingredients. And keep reading about dog foods to see if there are changes in ingredients. If your dog’s coat starts looking different or you notice changes to his stool, the first place to look is your dog food bag to see if there have been changes to the ingredients. You should be aware that whenever a dog food company makes a change to their food, they are going to tell you that it’s a wonderful thing. Many of them have public relations people who put out this kind of information as part of their job online, on Facebook, and other places. That doesn’t mean it’s true. Always trust your dog and what he is telling you about the food. Another reason it’s difficult to say which dog food is best is because every dog is different. You would not feed the same food to a six-month-old puppy that you would feed to a mature dog. You probably wouldn’t feed a Chihuahua the same food you would feed a Great Dane puppy. 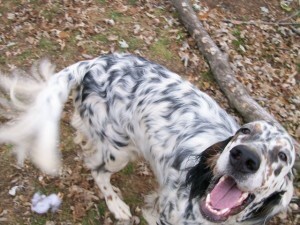 An active hunting dog has different nutritional requirements from a lapdog. Some brands of dog food make very good foods for dogs that have different nutritional needs – dogs of different sizes, ages, and activity levels. However, there are a number of brands that make good foods. We also have to consider that there are dogs with specific allergies, food sensitivities, and serious health issues who have their own needs. When it comes to dog foods it’s really not a case of one size fits all. There is no one best dog food for every dog. Dog owners also have different attitudes about feeding their dogs – and different budgets. Some owners prefer a grain free diet for their dogs, even if their dogs do not have any allergies to grains. Some owners like a diet for their dogs that emphasizes meat for carnivores. Other owners are more comfortable with a diet that includes grains. Some owners have ethical concerns about how food is raised and they want meat that has been humanely-raised and vegetables that are organic. All of these choices come with economic ramifications for dog owners. Dog food can be very cheap or extremely expensive. Most dog food is somewhere in the middle. 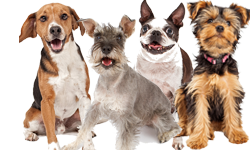 Many dog owners are looking for the best possible quality in dog food for a good price. A lot of dog owners spend more than they can really afford to buy their dogs a good quality dog food because they care so much about their dog’s health and well-being. We think it’s important to tell you the truth about dog foods so you don’t feel like you have to follow the latest trend. There are many good dog foods for people of different budgets. You don’t necessarily have to buy the most expensive dog food for your dog to be healthy. Many expensive dog foods are very good. That’s true. Some are over-rated. There are also some medium-priced dog foods that are very good. Cheap dog foods usually have cheap ingredients and other ingredients that we don’t recommend you feed your dog such as artificial preservatives (BHA, BHT), dyes/artificial colors, and artificial sweeteners. With all of that said, there are still some dog foods that stand out. Five-star foods are those that primarily use whole meats or meals such as chicken, turkey, lamb, beef, or other named meats. They may have some organic ingredients. They are generally high in protein and low in carbs. Many of them have grain free foods in their product line. They do not use artificial preservatives, dyes, or sweeteners. They have high standards and pass required certifications. The companies have a good reputation and recalls have not been a problem. Most of these foods are produced by smaller dog food companies and they are more expensive. 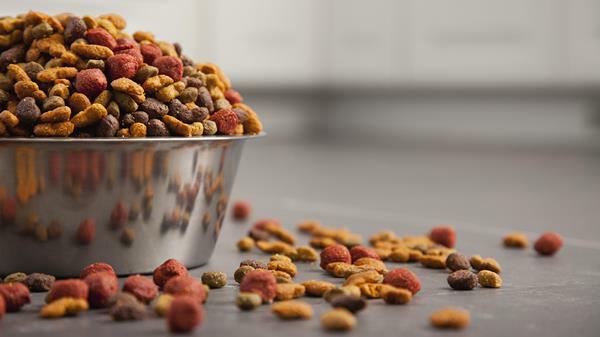 Four-star foods may draw protests from some dog food purists because some of them use by-products and grains in some of their products. Instead of being produced by small, independent companies, they are mostly produced by large dog food manufacturers. However, they are widely available and popular with large segments of dog owners. They typically cost less than the five-star foods but they still offer good nutrition and many dogs have lived long lives eating these products. The companies that make some of these foods are at the forefront of nutritional research for dogs. We do not recommend all foods made by these companies but their top-of-the-line products are typically very good. For example, if you have a dog with a specific health problem, the prescription diets from Hills’ Science Diet are excellent. Purina ProPlan is absolutely used by a large number of people who breed and show the dogs you see exhibited at Westminster each year. That is not just an advertising gimmick. It’s true. Taste of the Wild, made by Diamond, is somehow a very good food. 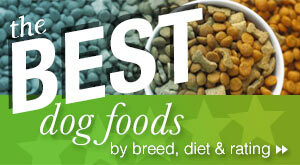 You can read more extensive reviews of most of these foods on the DogFood.guru web site. If you are trying to choose the best dog food for your dog you should consider several factors. Does he have any special health issues or allergies? What is his activity level? 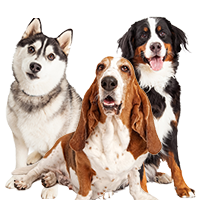 Dog foods are divided into three main life stages: growth for puppies and nursing dogs; maintenance, and all life stages. Every dog food is required to have a statement saying which life stage it meets. If you are looking for a food for a puppy, you should choose a food that is made for growth or all life stages. That means the food has proven that it can meet those nutritional requirements. If you have an adult dog (over a year old), you can choose a food for maintenance or all life stages. If your dog has any special health problems or allergies, you will need to look for a food that meets those needs. Read the label carefully, especially the ingredients. It’s a good idea to talk to your veterinarian to see if she recommends a particular food. You should also consider your dog’s activity level when you choose a food. Many people don’t realize that dog foods have different calories, just like foods for people. More active dogs need more calories than dogs that sleep all day. 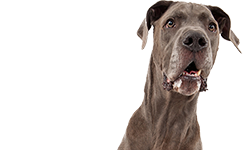 Some dog foods put the calories per cup on the label but in other cases you can find this information by visiting the company’s web site. The feeding guidelines on the bag are based on recommendations for feeding dogs based on their weight and size. You can follow these guidelines when you start feeding a food but you may have to adjust it if your dog starts gaining or losing weight after eating the food. One food can have more calories than another, so if you feed two cups of one brand it doesn’t mean that your dog will need the same amount of a different brand. What do you think of dog food made by Fromm? I was told by a Breeder in FL she feeds the product to all her dogs and swears by it. NONE of the Pet Stores carry it so you have to go online to order and it is very spendy. They did have a recall back in 2007 but since then I haven’t seen a problem. Would you rate this dog food a 4 or 5 star? I like Fromm. I know several people who feed it and they have always been happy with it. Did you review Anamaet Brand Food?? We have not reviewed that brand as of right now. We will add it to the list. For last 10 years i have used Chappie dog food. I believe this is best ratio price / quality. This brand is already more than 70 years on the dog food marker and still very popular in UK. To my knowledge Fromm has been in business (family owned) for over 100 years and never had a recall. My Chauncy has a gorgeous coat and gets a bath every two weeks (he is white with brindle, but 85% white) and hasn’t had a problem for 5 years. I have recommended Fromm to a lot of people at the dog park whom are very happy with Fromm. In fact one dog was having issues on one of those other high rated brands and when he went on Fromm in two weeks his issues disappeared. We purchase Fromm at Pet’s Supplies Plus but I know you can purchase on line also. I’ve fed my large dog Authority senior for the last 4 years. He’s 100 lbs & ‘seems’ very healthy & usually doesn’t have any problems but about once a month he does puke on my bed. I assumed that it was because he sometimes woofs his food down. Someone told me that they heard Petsmart was pulling all of the treats “made in china” so I looked at a bag of cat treats that the cat refused to eat & saw that’s where they were made. Honestly, never thought of checking because they were ‘Authority’ & thought it was a decent brand. Now I’m worried about my dog. Didn’t realize I could be feeding him bad food since he seemed to be fine. Everyone that sees him is always surprised he is 11 years old since he acts & looks like a healthy young pup. Would you recommend changing him to Pro Plan? Didn’t want to feed him cheep unhealthy food but I am on a budget so cost is important to me. Since Rocky is also family I would like to feed him the best I can afford so $40 a month was easy. Can you suggest a dry food that he should like near my price range? 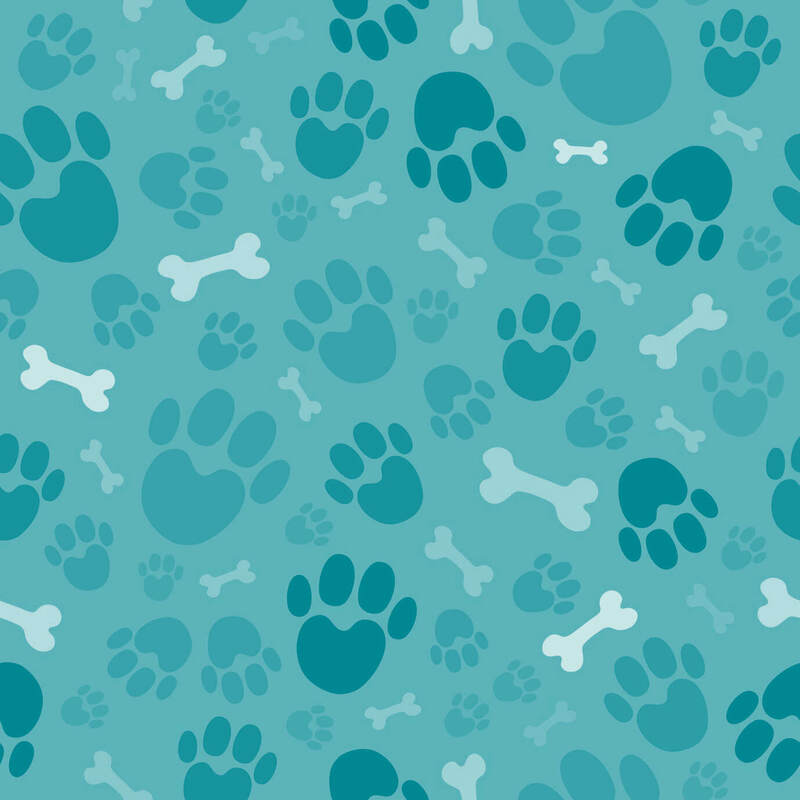 Companies that make dog/cat food and treats often have different arrangements when it comes to where their treats are made. I think the dog food should be fine. It’s just the treats made in China that have been a problem. I was reading your sight and saw “the top 10 best dog foods” which Im still reading about. 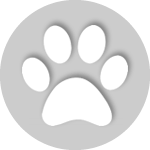 My question is have you reviewed Primal raw dog food? Id love to know your opinion on this food. Ive tried many foods and would like to make sure Im doing the very best I can for my two little guys. I have one boy chi and a girl chi/pom mix both about 6 or 7 ish. My rescues:) I love them dearly. thanks so much for anything you can tell me about the primal brand from San Francisco. Thanks very much. I think we have a review up for Primal. My family rescued an 8 week old Boxador (his name is Chopper) about 4 weeks ago. We made a bunch of purchases @ chewy.com and PetSmart; The best of which is “Taste Of the Wild” Pacific Stream Puppy Kibble. We combine 1/2 cup of dry kibble with a tablespoon of Blue Buffalo “Healthy Starts” puppy pate 4 times/day (every 4 hours or so). This puppy loves each of these and has grown to 16#. His coat is so shiny and he is very energetic. We love the food so much we have it on automatic re-order from chewy.com. wish more local pet stores carried this product. Meaning, the protein to fat ratio is very good and the Omega 3’s and mineral/vitamin inclusion is outstanding and Chopper loves it. His stool is always normal with this food! The price is a little better than what this site rate 5 star food at. ~ $42/30# bag (~$1.40/lb.) from chewy.com. We are more than pleased with the results! I see that Instinct made your list of 5 star foods, but not your list of “The Best” 5 star foods. 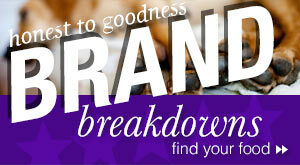 Wondering what kept some 5 star foods off this list? I really like Instinct. I think we have had reports of changes in the company and some of the food in the last year. They may be in flux. I have a pup that just recently turned 1 year old. I’ve been feeding her Taste Of The Wild High Parrie Puppy Formula with Bison and Venison.. She is black and has a very shinney coat. I just purchased a bag of the adult food in the same formula. She recently had a UTI and the vet told me to feed her Cainide Urinary SO(I was mixing it with her regular food) it did clear up the UTI(or maybe it was the antibiotic) but she now has a lot of dander which she didn’t have before. Could it be from the special food that the vet told me to continue for another 2 weeks. Not sure I want to do that. Also do you believe that a natural cranberry powder will kept the UTI from returning> Thanks in advance. I’m not a vet 🙂 But I do think that cranberry helps with UTI. I’m not sure what would account for the dander. Black dogs seem like they show dander more than other dogs sometimes. So, the food was Royal Canin SO? I think some dogs can have some itching and skin issues from some Royal Canin foods. Not sure why. Personally, I would return to the TOTW when the UTI is all cleared up, but that is just my personal opinion. Have you reviewed Costco’s Nature’s Domain Grain-Free Salmon Meal & Sweet Potato Formula for Dogs? I know a lot of people that have fed premium foods in the past are really buzzing about this food from Costco. I’ll look forward to seeing your report on it! I am also very interested in reading your report on this food from Costco! What about Flint River. They claim that they have NEVER had a recall and use only top ingredients. I haven’t fed it but they have a good reputation. I know people who like it. It’s a food that we should review sometime. Thank you for that reply Carlotta. That was my experience with Instinct – couldn’t rave about it especially the rabbit formula. IMHO it saved my dog when she was suffering from bladder stones – that was almost 10 yrs ago so I can’t say why I thought rabbit or tapioca would help – but it did. I would drive 20 miles to find it as it was often unavailable, and at times the cost was almost $5 a pound. I can’t speak to the wet/raw products, but the changes in the formula of this particular product were disastrous for my dog. I realize that all dogs are different, but the lack of responsiveness from the company is why I would never put them on a ‘best’ list. It was a quiet product change – nothing alerting one to it, and was touted as “tastier”. Lacking any response, I can only assume the change was cost savings. Customer service can make or break a company – and clearly something has changed not only in their product line but also in their culture. 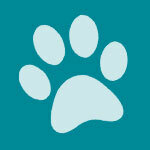 Have you reviewed Holistic Select dog foods. This was one recommended for our Golden Retriever puppy (5 months) who is having repeated issues with diarrhea. We’re currently having to repeatedly go back to a bland diet then start the process of introducing regular puppy food which she doesn’t seem to be tolerating. We have! Check out our full Nature’s Variety review or our formula specific Instinct review. I linked them in blue. We have a rescue 7 yr old party pointer and maybe cattle dog. About 74 lbs. Been using pro plan weight management. He sneezes a lot. Got confined by sales person to try bil-jac senior. Not sure if this is the right choice or not. Not an active dog, but lives his walks. Any good suggestions,? I would like to see a review of Horizon’s Pulsars & Turkey Dry dog food as well as Costco’s nature’s domain grain-free Turkey & Sweet Potato Dry. This is a great with lots of information. Thank you. Have you reviewed Earthborn holistic grain free – coastal catch? Hi, I have a 3 month old chimuhauh. She weights 3 lb. 6 oz. I am skepitcal when it comes to feeding her dry dog food because a lot of the brands have been on recall. I do not like Royal Canine as I have not heard anything good about that brand and a lot of the other brands have been on recall. I have her on the aims puppy food for small/toy breeds. I mix it with broiled chicken and chop meat. She Love’s when I add the meat. What would be a good dog food brand that I can switch her to. I do not want her to get sick or have any health issues. She is spoiled. I have been told to try Science Diet small kibbles for puppie’s. but that brand seems to have a lot of different chemicals in it. Can you recommend a good brand or is it always going to be opinions. I also know that she has different dietary needs compared to other dogs. GOOD WELL WRITEN ARTICLE ~ I USUALLY BUY MY GIRLS FOOD FROM CHEWY ($300-$400 AT A TIME), THEY’VE USUALLY GOT THE BEST STABLE PRICES W/O TOO MUCH BALLYHOO AD TEASERS OR “24 HOUR SALES” LIKE THE OTHER MAIL ORDER COMPANIES. I WISH THEY’D GIVE DISCOUNTS TO LOYAL CUSTOMERS BUYING IN QUANTITY LIKE THEY DO FOR “1ST TIME BUYERS.” IN THEIR DESCRIPTIONS OF FOODS, I WISH THEY’D INCLUDE AMOUNT OF DRY WEIGHT PHOSPHOROUS CONTAINED IN FOODS; MY ONE GIRL HAS KIDNEY FAILURE AND SHE’S GOT TO BE ON AN EXTREMELY LOW PHOSPHOROUS FOOD; TOOK ME DAYS OF RESEARCH AND CALLS TO FIND THE FOODS I NOW USE. I have a Porky…she is half Pomeranian and half Yorkie. She has developed a slight Gerd issue in her middle age. Certain foods trigger it really bad (given by accident) but it goes away in a couple days. She is eating Nutrisca…Chicken and Chickpea recipe. The problem seems to be under control but not totally gone. I fear changing her diet may cause a flare up but I am researching for a good aimed for pets with gets issues. The information out there is overwhelming. I don’t want to do anything to cause a flare up or make it worse. So I am thinking…keep it simple. Maybe try a diet change at first. I am also considering adding DGL and slippery elm to her diet. Any suggestions would be greatly appreciated. I am looking for a good quality dog food for her. Price doesn’t matter because she is priceless to me. As I see quite a few others have posted about….I recently switched to Whole Earth and as of today both dogs have pretty bad diarrhea…. Which hasn’t happened in the past when I’ve switched brands (which I rarely do). Granted one of mine has a somewhat sensitive stomach….. It sounds like there are a lot of positive experiences with this food, unfortunately we’re not one of them. We will be ditching what’s left of this bag and going back to Wellness grain free asap. You didn’t mention Earthborn. Why not? I know you know this already, but with the huge lawsuits with Purina – and with the controversy and admitted marketing lies with Blue Buffalo, you may want to put a disclaimer at the beginning of this article stating that there HAVE been issues with Purina MASS recalls, dog deaths, LAW SUIT SETTLEMENTS, the fact they purchased MERRICK and Castor and Pollux. Etc. Etc. And because of this.. People should not even CONSIDER Merrick anymore nor Castor and Pollux, or ANYTHING Nestle Purina makes. Even Pro Plan. This company is NOT to be trusted. PERIOD. Canidae sold out to Proctor and Gamble also a couple years ago. 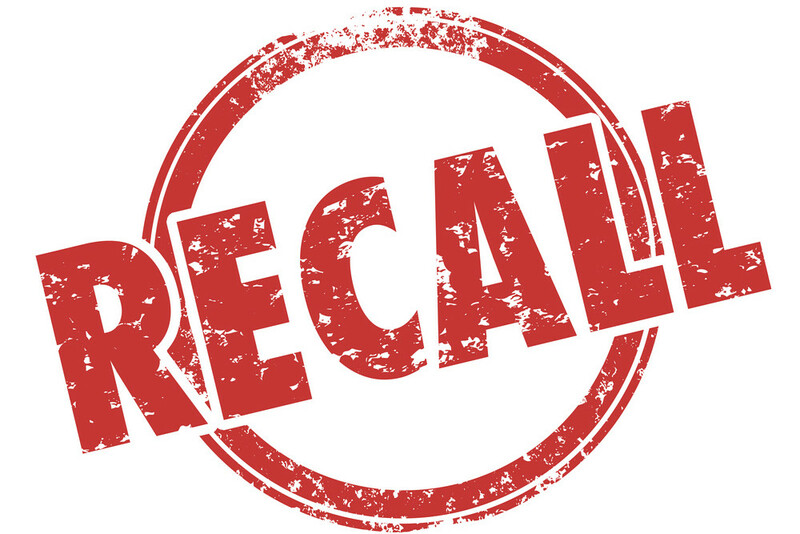 Costco, with their Kirkland brand dog foods, were also responsible for many sick dogs – I believe that they also had a recall. *side note, Fromm has A LOTTT of pea protein in it* it’s still is a good food, and I would feed this over, Costco, Purina products, Merrick, Taste of the Wild and Canidae. – But I don’t feed it because of the pea proteins.. I feed Canine Caviar – Open Meadow formula. Taste of the Wild is owned by Diamond, who has had a TON Of recalls. I’m not ridiculing, just bringing it to your attention. I have three dogs, two are rescued. An 8 year old 75 pound purebred neutered husky, — and a 2 to 4 year old 120 pound purebred neutered Great Pyrenees, Both have epilepsy. The Great Pyrenees has a pattern of grand mal cluster seizures every two months that result in his hospitalization for 3+ days to stableize him. The husky has grand mal seizures at least twice a year. They both go to a neurologist vetrinarian as well as their regular vet. They both take phenobarbital tablets dosed for their weight 2 times per day. The great Pyrenees takes an additional dose of potassium bromide tablets 2 times a day with his phenobarbital. The Great Pyrenees also has hip displaysia and is prone to ear yeast. My question is, what is the BEST FOOD for these two dogs with epilepsy? Our third dog is a two year old spayed mixed breed. Her DNA test showed that she is cattle dog, toy fox terrier, and Great Pyrenees. She seems to be very healthy and active. We feed here taste of the wild dry dog food. I was using Fromm but my picky nicky suddenly decided she didn’t want to eat. When I went to the feed store Zignature was recommended. Have you reviewed this made in the USA brand? Thanks! !